you jump at the chance! :) We got our family pictures taken this past summer and I am so glad we did. With this upcoming holiday season upon us. It is nice to have one big thing checked off the list! 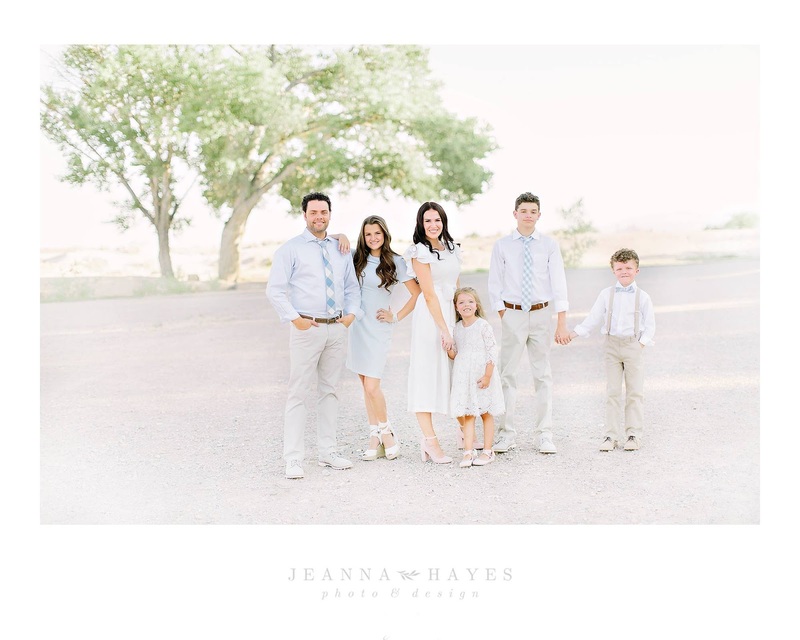 I thought it would be fun and helpful to share some of my favorite tips on how to style a family photoshoot! #1- Pick a color scheme...this is HUGE! This doesn't mean you have to be all matchy-matchy. If the colors are in the same family (pun intended), as far as tones go, it will look good:) Pick 1-3 colors to make the pictures flow and it doesn't get too busy for the eye. #2- Pick a theme...I know what you are thinking! A Theme? YES! ;) Do you want a feeling of fresh and airy like in the spring, or more drama with darker colors like in the autumn and winter. Think about the season you are photographing in and do what feels organic. In my photoshoot, I chose to go with an early summer/spring feeling. It's also fun to add some props! I used flowers and peaches as a fun accent that would highlight and add to the character of the pictures. #3- Don't overthink the location...choose somewhere that is easy to get to and that will be easy for your family. Any good photographer can take a simple location, and with a bit of creativity, make it look incredible! We took ours in a park in Las Vegas. 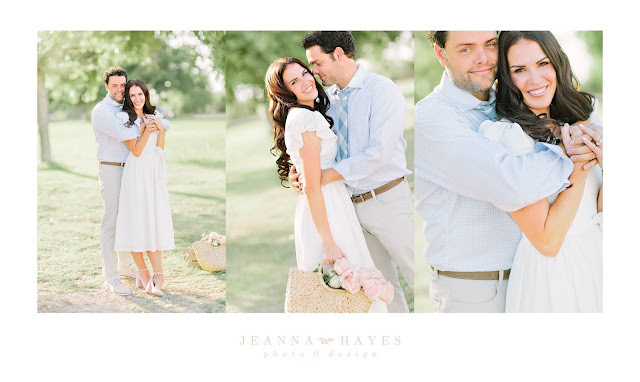 In Vegas, big beautiful trees are rare, but you would never know it with the amazing skills Jeanna has! #4- Be Natural. Just relax and interact with your family the way you would naturally do. The camera doesn't lie. If you feel tense it will show in the pictures. Just enjoy yourself and let the photographer do their job. You will end up with some really beautiful candid shots. Hope that helps! I can't wait to see all you beautiful people and your Christmas Cards this Holiday Season. Below are links to where I found a lot of my clothing. Amazon to the rescue for the majority of items.